I’m not kidding. 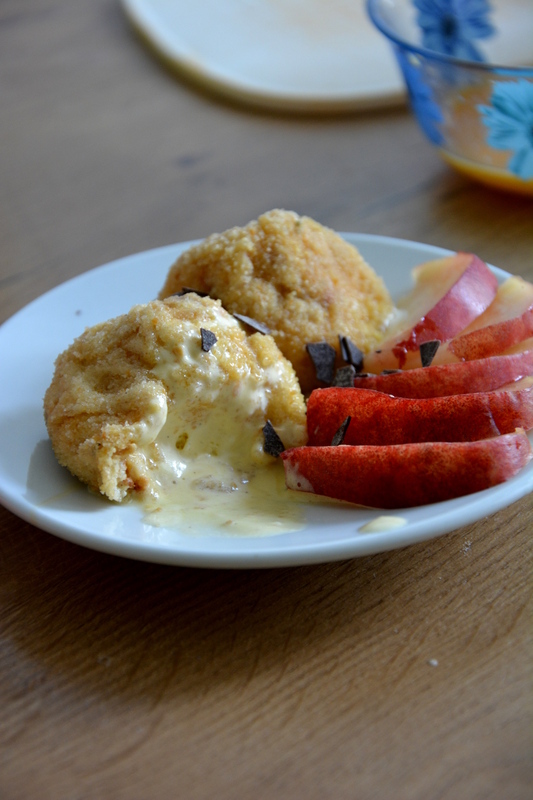 This is a recipe telling you how to make a heavenly hot and cold, a crispy and creamy contrast in a dessert. Frying ice cream is actually easier than it sounds and I was glad to find that out, because I had had an exploding churro incident not long ago and had quite repulsion towards frying food. But this recipe requires just a little timing, then everything should be all right. 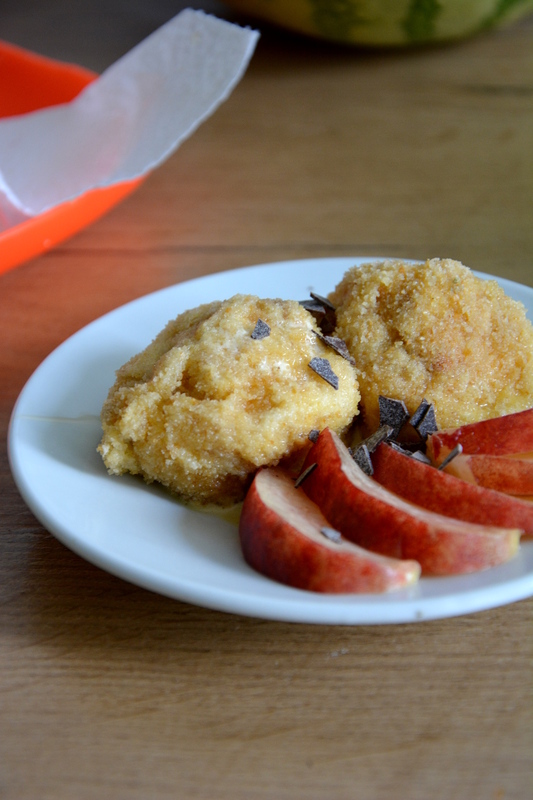 Here we go, some fried vanilla ice ceam balls, which taste best served with fresh fruit. Scoop out the ice cream, press it into the form of a ball with your hands, if necessary. Roll the ice cream spheres in the crushed cookies, then place in the freezer for at least an hour. Pour oil into a medium-sized or a small, but deep pan, about 4 cm (1 1/2 inches) and heat it up. You know it has the right temperature, when small bubbles appear from a wooden skewer placed in the oil. Prepare a plate with paper towels for the fried scoops of ice cream. 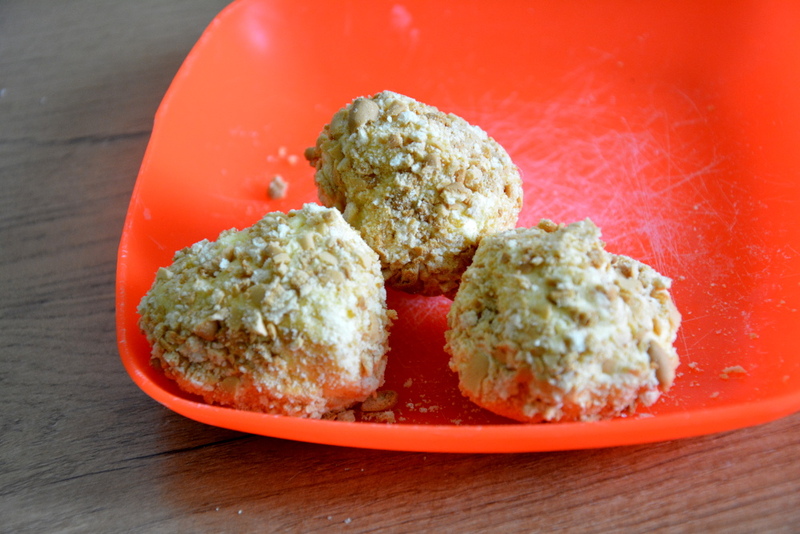 While the oil is getting hot, take out the ice cream and roll the balls first in blended egg, then in breadcrumbs. Carefully place each ball into the hot oil (a large spoon works best for that) and fry until the crust turns from pale to gold, about 90 seconds to 2 minutes. Carefully place the fried ball on the paper towel, then transfer to a plate. You should serve this dessert immediately after preparing it, so the difference in temperature between crust and ice cream is bigger.